Look. 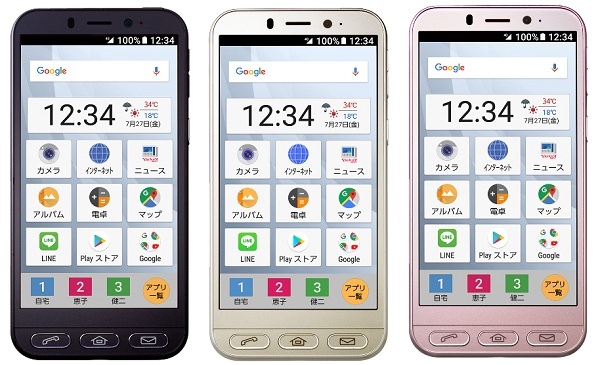 This is android smartphone named as “Simple sumaho” (simple smartphone) sold in Japan. It has 3 physical buttons. Users can access Phone, Home, Mail directly by pushing buttons anytime when they uses other apps. This is for elder persons. But I think its buttons are very convenient for us. Last edited by ume_kun; 09-14-18 at 10:58 PM. Absolute ghastly. Looks too old school. Sorry it's a no from me. Looks a bit nursing home to me. That phone is ugly, Yes. But I think the OP is talking about having the same concept like the Bold had where you could easily access the phone with hard buttons. It wouldn't be a bad idea, it would just need to be done right.